Pot roast is always something that I have leftovers of when I make it for dinner. When made properly, pot roast is one of those meats that is so tender and full of flavor. Something you definitely don't want to let go to waste if you have extra. 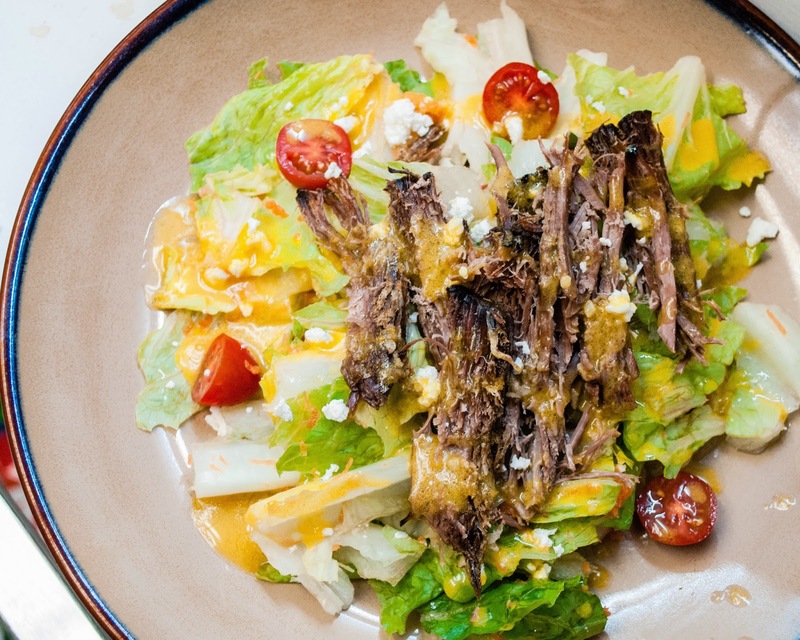 Pot roast salad may sound like an odd combination, but it really isn't. After all, we eat steak salads, don't we? 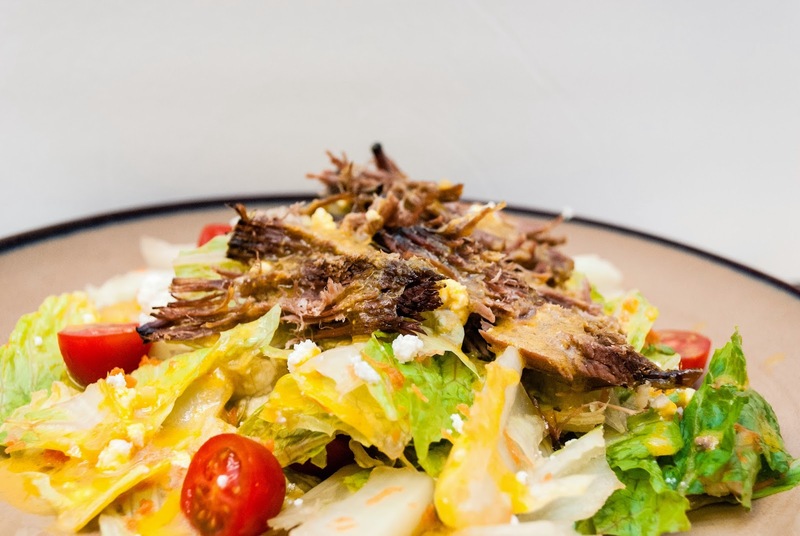 And how many of us have made salad as a side dish to go with our pot roast? This way, you are just combining all of the ingredients. I recommend using tomatoes and shredded carrot. After that, you can add pretty much any other topping you want. Paired with the honey mustard vinaigrette, it is something you can serve for dinner as a main entree.I have included a recipe for the honey mustard vinaigrette. Whisk together vinegar, garlic, mustard and honey. While whisking, slowly add olive oil. Season with salt and pepper. The dressing sounds sooo good! I'm always looking for a good dressing that isn't store bought.